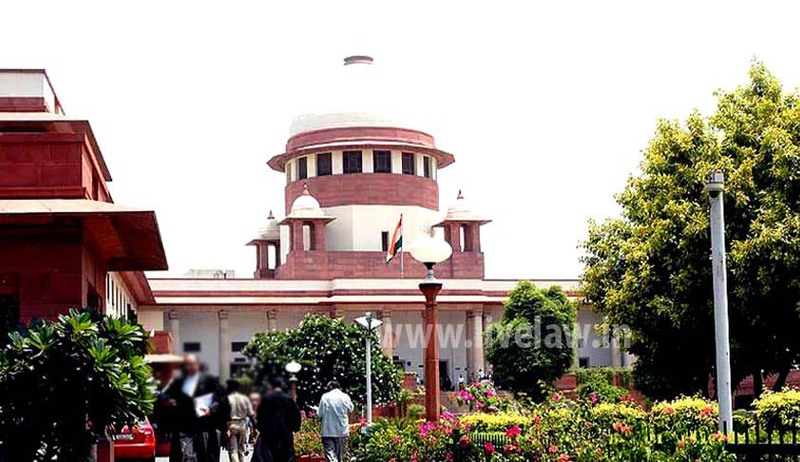 The Apex Court has upheld a Gujarat High Court Judgment which had refused to interfere with the findings of disciplinary committee which had held a Judicial officer guilty of misconduct, for having awarded a sentence of imprisonment less than the minimum prescribed by the statute, while he was serving as a judge. Apex Court bench comprising of the Chief Justice T S Thakur and Justice Dr D Y Chandrachud however modified the order of dismissal to that of compulsory retirement. In one of his judgments, R.R. Parekh, judge convicting the accused awarded a sentence of imprisonment less than the minimum prescribed by Section 135 and the sentence of imprisonment was so structured that after allowing the benefit of a set-off, the accused was not required to remain in jail for a further period. In the second criminal case, the judge awarded sentence less than the minimum punishment prescribed under Section 135 and the accused were granted a set-off. Departmental Inquiry was conducted against the Judge. The Inquiry Officer came to the conclusion that there was no independent evidence to establish that the Judge had engaged in a corrupt practice and the charges were held not to have been established. Disciplinary Committee consisting of two judges of the High Court did not agree with the reasons adduced by the Inquiry Officer but nonetheless was of the view that the Judge should be exonerated. The matter was placed in Full Court meeting which asked the disciplinary committee to look into the matter again. After taking fresh evidence in the matter, the committee again held that inquiry report finding was correct. The Full court reconstituted Disciplinary Committee. The said Committee, after hearing the judge, held him guilty of the charges of misconduct. The Committee held that as a seasoned judicial officer who was in service since 1981, he would be aware about the basic principles of sentencing. The Committee rejected the explanation of the Judge that even if an error was committed by him in awarding less than the prescribed sentence, this was of a bona fide nature. In the view of the Committee, the Judge ought to have seen the provisions of the Customs Act 1962, and having held the accused guilty, he ought to have considered the provisions for punishment laid down in the statute. The Committee found it difficult to accept that as a judicial officer, the Judge had passed an order of conviction and sentence without looking at the provisions. The Committee held that an inference could be drawn on the basis of material with regard to the existence of an oblique motive since neither a sufficient nor reasonable explanation was provided by the Judge. Alternatively, the Committee held that even assuming that there was no oblique motive, the established facts reflected gross negligence and a dereliction of duty on the part of the Judge. The Committee found the charge of misconduct was established and came to the conclusion that the Judge should be dismissed from service under Rule 6 of the Gujarat Civil Services (Discipline and Appeal) Rules 1971. The report of the Disciplinary Committee was adopted by the Full Court. The State Government dismissed the Judge from service. This decision of Disciplinary committee was challenged before the Gujarat High Court, but the court refused to interfere with the findings. Then he approached Apex Court.